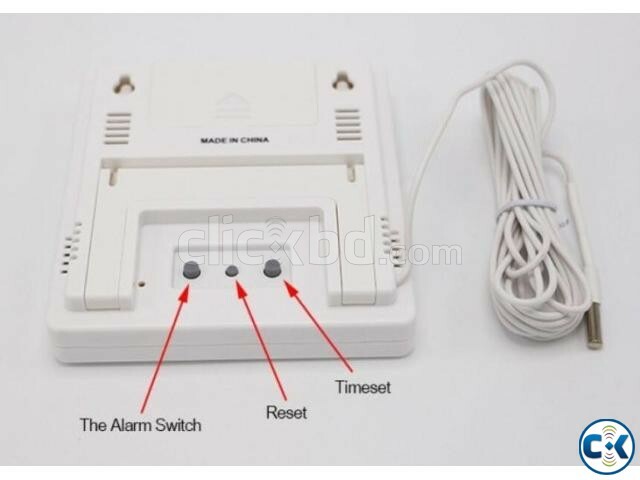 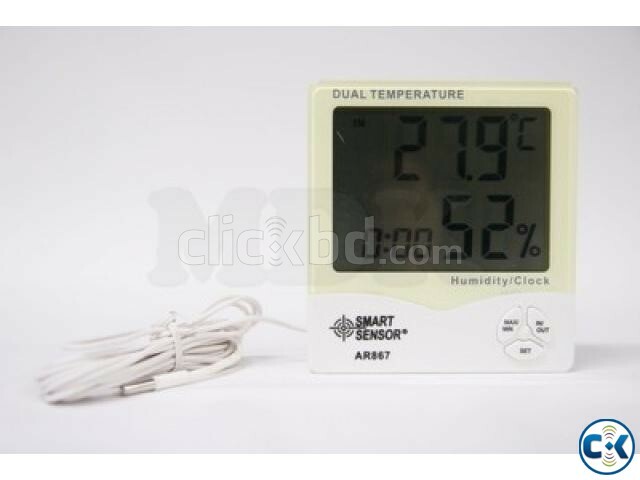 1) Time display, switchable between 12 hour & 24 hour format. 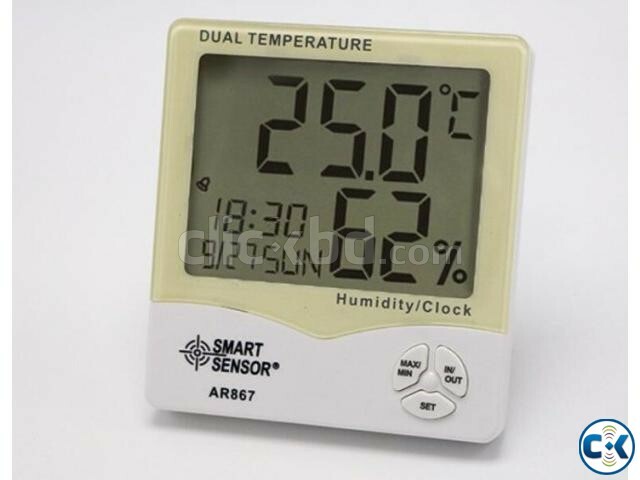 2) Display indoor temperature, outdoor temperature & indoor humidity. 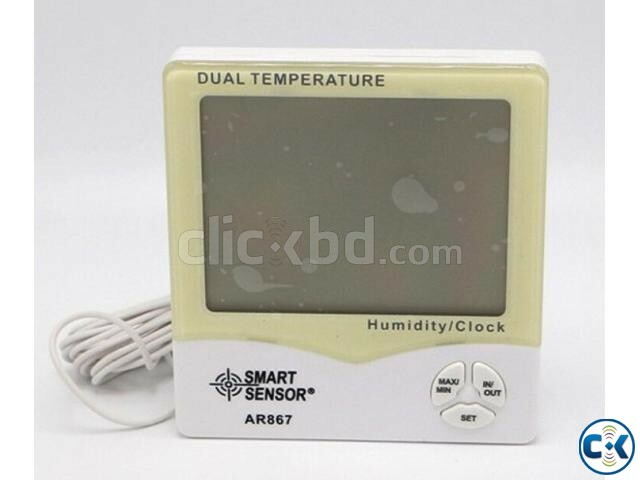 3) Store the maximum / minimum temperature and humidity record. 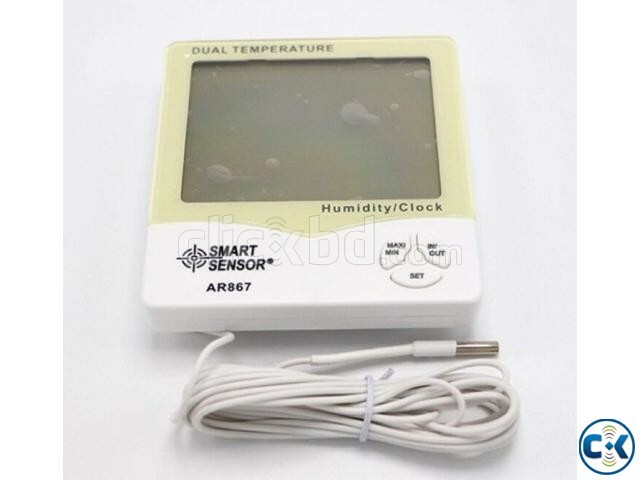 4) Switchable between ˚C & ˚F.